The Foundation is closed for tours for the months of August, December, and January. 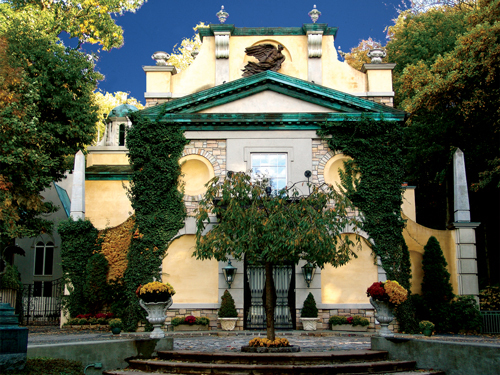 The Newington-Cropsey Foundation was founded in 1977 for the purpose of preserving and displaying the home and paintings of Jasper F. Cropsey (1823-1900), Hudson River School artist. The Cropsey home, Ever Rest, has been on the National Register of Historic Homes since the early 1970's. In 1994, the Gallery of Art was completed, enabling the foundation to display more of the permanent collection of Cropsey's paintings, in addition to providing exhibition space for temporary and traveling exhibits. The new building also houses the archives of Cropsey's writings and papers as well as a small research library.